Sunday was fan appreciation day at Citizens Bank Park, a tough thing to stomach considering the way the Phillies collapsed over the final month and a half of the season. 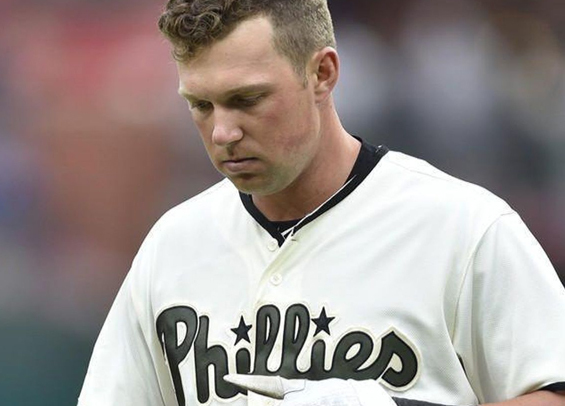 Even so, Rhys Hoskins held a microphone in his hands and spoke to fans prior to Sunday's season finale and pledged a better outcome next year. The Phillies went on to win the contest over the playoff-bound Braves, 3-1. The single outcome though isn't really what's important. The future success of this club now hangs with general manager Matt Klentak and owner John Middleton. Can they make good of the treasure chest of available cash to spend on the free agent market? Will they land a megastar such as Bryce Harper or Manny Machado? Can they add another starting pitcher to strengthen a rotation that fell off significantly over the final month? There are a dozen more similar questions that require an answer as the offseason opens. Some of these questions will take some time to answer, but whatever happens, it's evident some things need to change if the Phillies expect to compete with the upstart Braves and other competitors in the National League. Hoskins and Nola are fantastic building blocks, but it's evident the surrounding pieces need an upgrade if the trajectory is to improve. We'll get the framework for some answers this week when Klentak and team president Andy MacPhail share their opinions on what went well and what needs to be improved. With so many unknowns hanging in the balance, this could be one of the most intriguing offseasons in memory for the Phillies.